A salad can be made with any number of different ingredients. 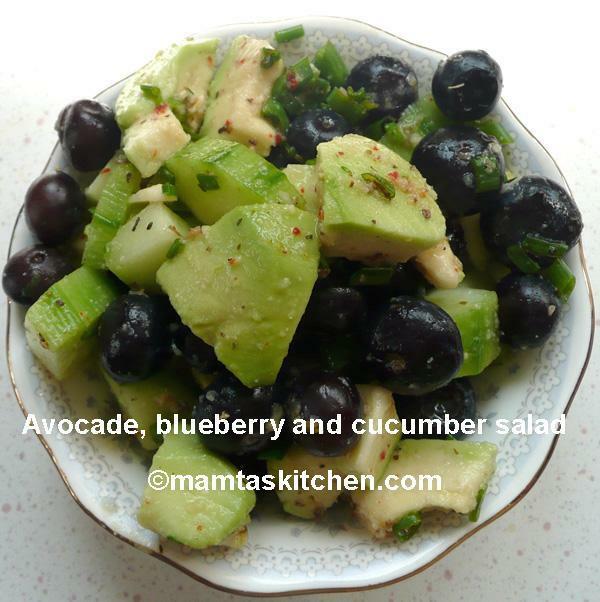 It can be even a mix of fruits and salad vegetables. You can make it look different just by cutting things differently. 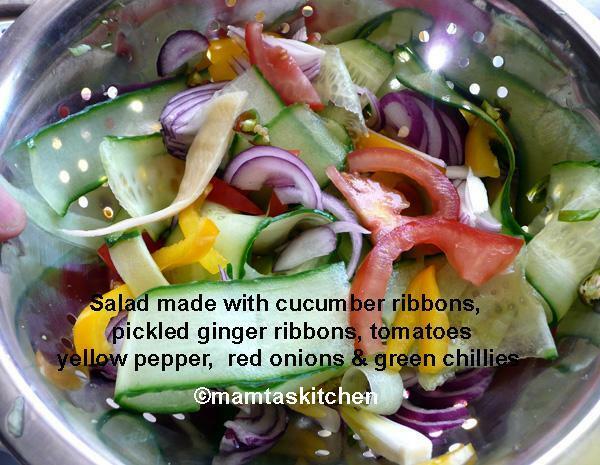 Make ribbons of vegetables, instead of chopping them (picture 2). Use a potato peeler or a sharp knife for this. In our house, it just depends on what I have in the fridge or garden. 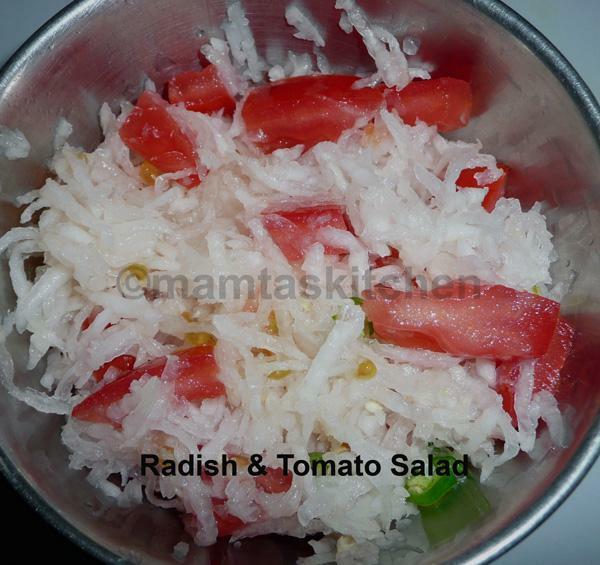 Below is a collection of many salads from around the world, but experiment by chopping and changing the recipes. For dressings see Salad Dressings. 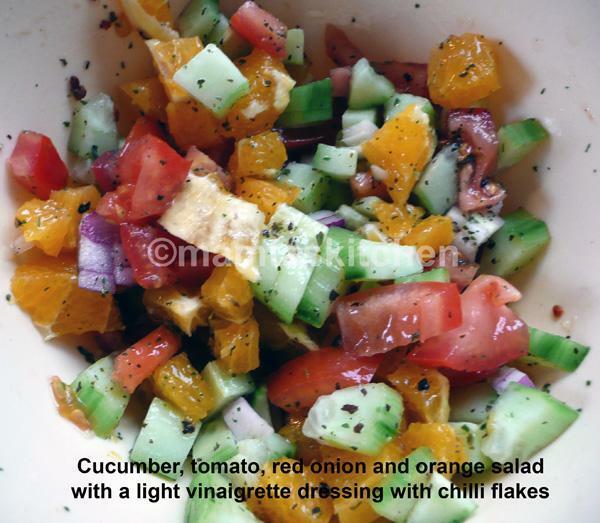 Ingredients are given in each individual salad recipe. 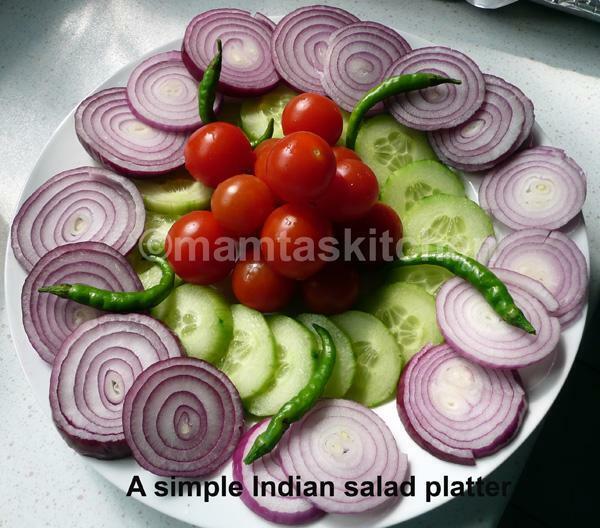 Indian Salad Platter picture 5. Methi Dana Sprouts and Red Onion Salad. Pickled Onion Salad with Tamarind Sauce Dressing. For making new salads, you can mix and match any salad vegetables, with different cheeses, cold meats, olives etc. and add new dressings. Even a sprinkle of a little Chat Masala, with a squeeze of fresh lime juice is delicious. Rocket leaves can be substituted with tender radish leaves.